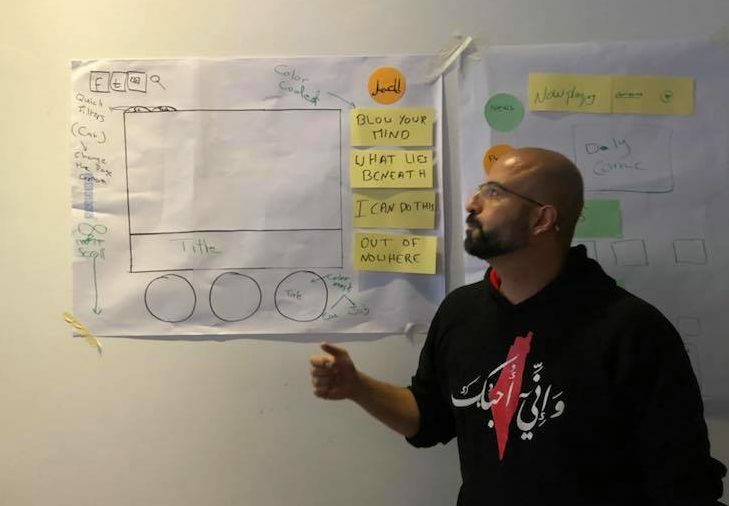 Another team working with Maharat and DW Akademie at the Digital Media Viability Lab project is the Al Maamal team (meaning “factory” in Arabic). Al Maamal is a digital magazine specialized in simplifying the science and tech concepts in order to inspire the future Arab scientists and inventors. The idea of Al Maamal is to inspire Arab children to love science through a fun, hands-on approach. The five-membered team operates regionally across Lebanon, Jordan, Egypt, and Kurdistan. We had a side chat with the Jordanian member Mahmoud Atout about Al Maamal and about Astrolabe, Mahmoud’s own initiative. 1) Would you introduce yourself please? My name is Mahmoud Atout and I have over 12 years of experience in project management and digital transformation with an IT background. I had the opportunity to enter the digital media field through working as a content strategist for 7iber platform for two years. 2) Are you working on something right now? I’m working on my own project, called Astrolabe, as well as on Al Maamal with Maharat. What makes Al Maamal so special is the ease of consumption of heavy scientific topics, it’s all about the repackaging of complex ideas into easy ones using the new digital instruments we learned with Maharat. As for Astrolabe (my project), it’s a familiar name for everyone because astrolabes are ancient celestial inclinometers (tools), historically used by astronomers to measure the inclined position in the sky of a celestial body, day or night. The name of Astrolabe is related to our mission and goals and services. We are like a data and creative lab specialized in helping media outlets in the areas of digital transformation, analytics and audience segmentation. 3) What’s the most important transformative topic you’ve had at the workshop? The most important topic for me was the team management because, coming from five countries in (Al Maamal), we constantly form a cross-functional team with different backgrounds and experts, and so running this team efficiently is crucial for our success. We bring subject experts, editors and journalists and they all work together on the same piece in harmony. 4) When are you going to launch the platform? We created the website already, and all what is left is the actual content. We are currently figuring out the best way to create an evergreen content library that allows us to achieve consistency in publishing without being hesitant, especially since all of our team members have full time jobs so they cannot be dedicated. 5) What are your end products, beside the magazine? After launching the digital magazine, we’re going to organize annual events for science and tech for children. Such events are not very common in the region, and something like that could be a viable good product for us. 6) If you created a revenue stream, where would the money go to, do you think it will help you be more independent? The revenues will go to making our magazine independent and sustainable at first and then to the other products we mentioned (annual events, summer camps)… We also have this crazy idea about a show that aims to simplify science and tech by getting a famous rapper and make him repackage this whole thing in a way that is appealing to the general youth. 7) What is your opinion about quality journalism these days, how can it be financed? Quality journalism can be financed through a mix of revenue streams; at first, we must forget about the traditional advertising revenue model. The [new model] would be a mix between event management, events creation, special advertising projects and some kind of merchandising (it’s all about forming some kind of community after all! ).